Excerpt from Fair Game: "On the Road Again: Shumlin's 141.5 Days Outside Vermont"
Shummy's not the only one racking up the frequent flyer miles. Sen. Bernie Sanders, who's considering a run for president in 2016, is seriously ramping up his travel to early primary and caucus states. 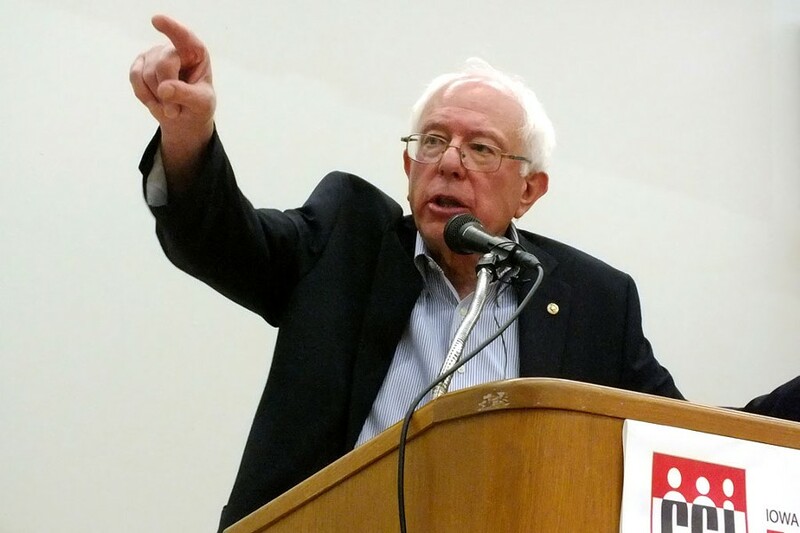 After receiving the American Legion's Patriot Award at the organization's national convention in Charlotte, N.C., last Wednesday, Sanders held subsequent town meetings in Raleigh, N.C., Columbia, S.C. and Jackson, Miss. He also made time for meetings with AFL-CIO leaders in Raleigh and Columbia and spoke at a press conference outside the South Carolina Statehouse, urging the state's political leaders to expand Medicaid coverage. South Carolina, which he last visited in October 2013, holds the Democratic Party's second presidential primary election. "It's no secret that I am giving some thought to the possibility of running for president, and that's one of the reasons for getting around the country," Sanders said Monday at Burlington's Labor Day celebration in Battery Park. So, did the senator sense a yearning for a Sanderista revolution south of the Mason-Dixon Line? "All I can tell you is that, at this point, the turnouts we had were really good," he said. "Those states are where the economy is really bad. Many people are hurting. And I think the theme that I'm hearing there and all over this country is people have got to stand together to fight for the middle class in this country, which is disappearing." Two days after his Mississippi town hall meeting, Sanders made his third trip this year to New Hampshire, home of the nation's first presidential primary. The senator spoke at the AFL-CIO's Labor Day breakfast in Manchester early Monday. Next week, Sanders heads to the first-in-the-nation presidential caucus state — Iowa — for the second time this year. While in the neighborhood, he'll also drop by the Fighting Bob Fest, a progressive gathering in Baraboo, Wis., and host a fundraiser in Madison. The proto-candidate has at least two more trips on the docket: On September 27, he'll keynote the Strafford County Democrats' annual dinner in Rollinsford, N.H., and on October 5, he heads back to the Hawkeye State for a third time to address a Johnson County Democratic Party barbecue. That's a lot of time in Iowa for, well, anyone.